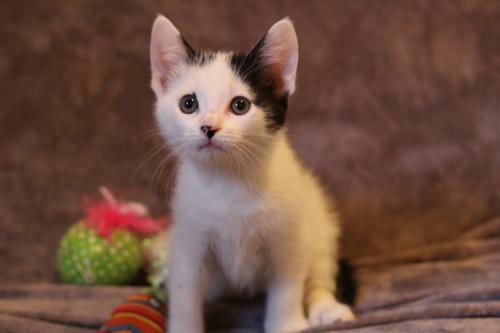 Austin has been with his foster for a few months as he and his siblings grew and are old enough to be adopted. 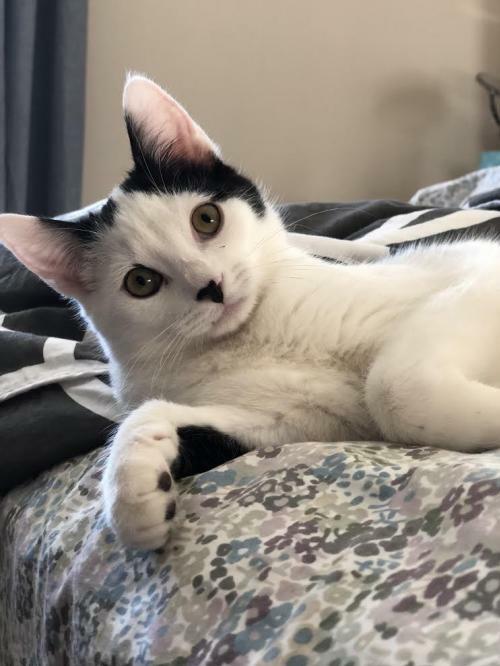 All of his siblings have been adopted and Austin is enjoying extra time with his Mom, Christi, while they are both waiting for their furever homes. 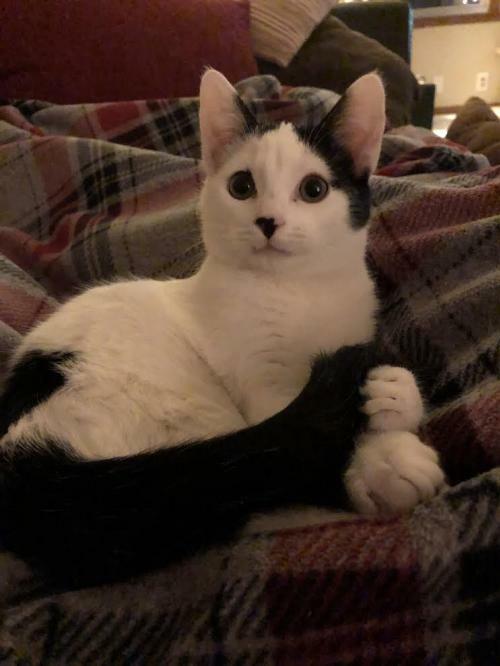 He is a great kitten, but can be on the nervous side and doesn't like being held. 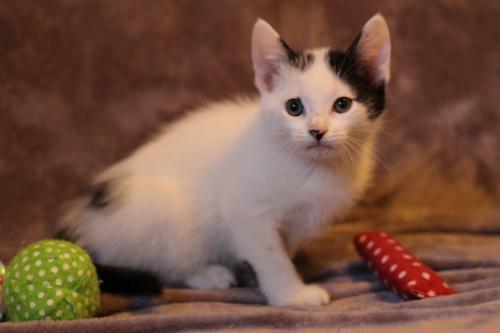 He is extra cautious, but in a calm environment, he has no problem asking for scratches and being goofy with his toys. 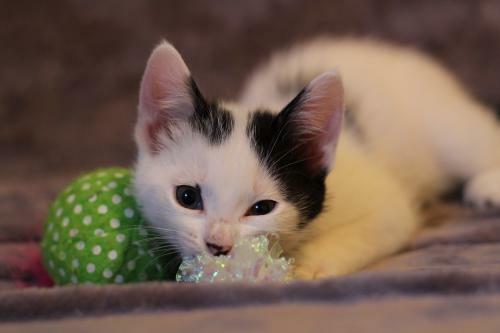 He does well with another confident kitty friend, to play with and show him the ropes. 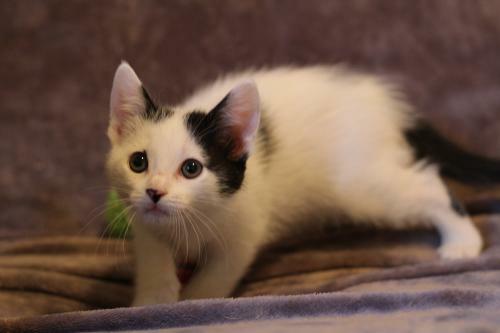 Austin is fully litter box trained and has never had any issues. He loves to use a scratching post and tolerates his nails being clipped on a regular basis. He is up to date on his shots, fixed and ready for his forever home!